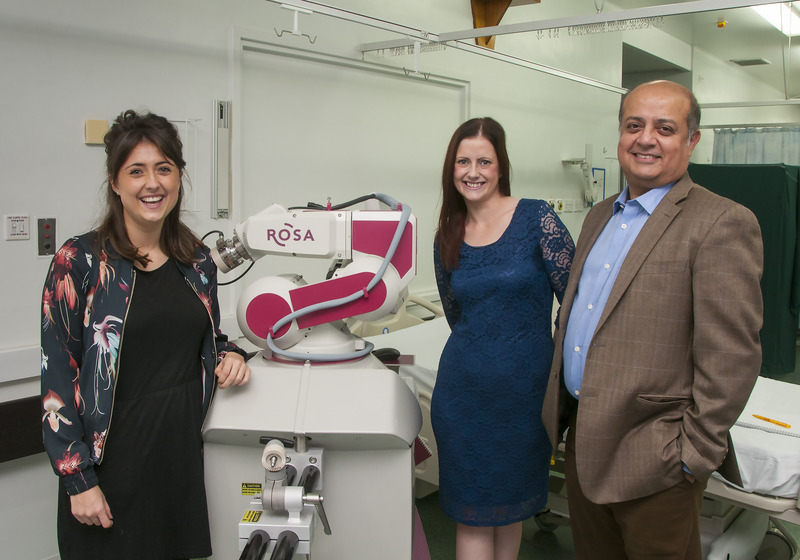 We’ve now raised a staggering £250,000 in just six months to secure the pioneering ROSA surgical robot for the Royal Hallamshire – now the only NHS hospital in the country to have this state-of-the-art equipment. 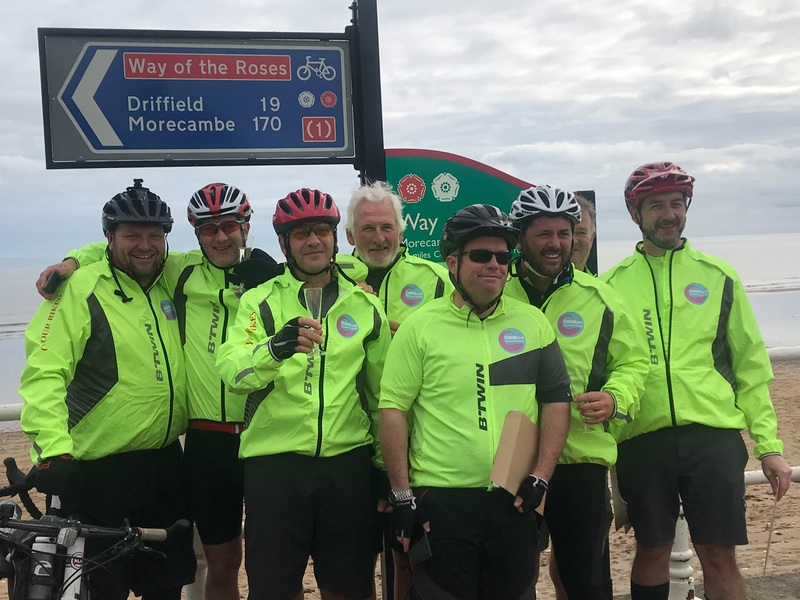 The ROSA Robot Appeal reached its £250,000 target this month after seven South Yorkshire businessmen got on their bikes to cycle the 170-miles coast-to-coast route from Morecambe to Bridlington. The team was led by Rex Caplan, Managing Director of Sheffield student accommodation providers Capland Properties and a Neurocare advisory board member. He was joined by Bob Graham, Matt Frolish, James Bruce, Mark James, Steve Corbett and Ian Brazewell supported by driver Richard Wolstenholme. 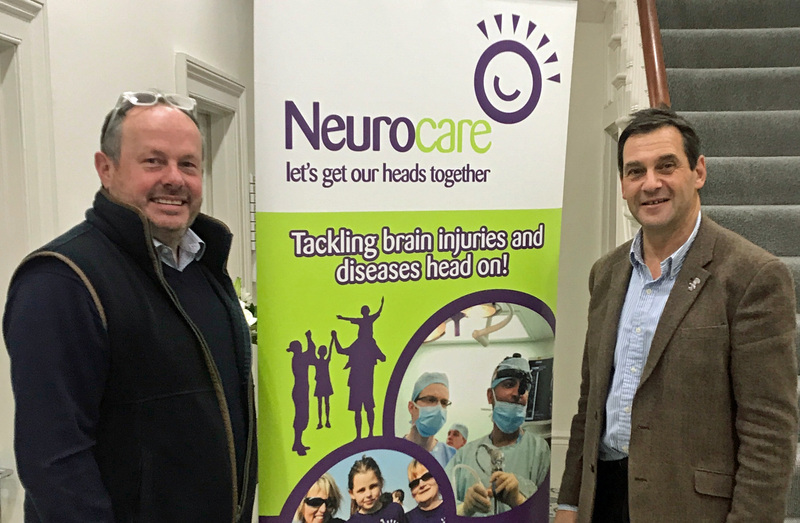 Their marathon bike ride raised over £10,000 which took the ROSA Robot Appeal to just £6,000 below its target – a shortfall made up by Sheffield development and planning consultants Ackroyd and Abbott run by longstanding Neurocare supporter Robert Rusling. Rex said: “The ROSA is the most expensive single item we, as a charity, have ever purchased and we are so very, very grateful to all those individuals, groups of people and companies such as Ackroyd and Abbott that have so very generously supported the Appeal. ROSA’s pinpoint precision is far less invasive and has the potential to reduce surgery times by as much as 40 per cent, greatly improving recovery and surgical outcomes.